The Branch Line Society’s charity fundraising railtour, the ‘RBF Tracker’, has been confirmed for November 7. 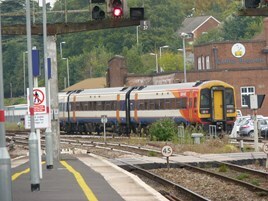 The charter will run in partnership with South West Trains using a five-car Class 158/8 and a ‘159’. From London Waterloo it heads to Southampton, Weymouth, Bournemouth, Yeovil and Salisbury, before returning to London. N For more on this story, see RAIL 782, published on September 2.